Starting in Sept. 2014, I conceived and led TIME to publish a weekly animated cover for its more than 60 million social followers on Instagram, Facebook and Twitter – the first weekly magazine to do so. The cover animations are produced each week by Ed Gabel and Ian Brown at Brobeldesign. Check out their work here. Check out TIME's Instagram feed with updated covers each week here. I led TIME's editorial and design on the iPad, becoming the first weekly magazine to launch with the iPad in 2010. I met with Steve Jobs and the Apple development team to produce the first issue from start to publishing in only 40 days. 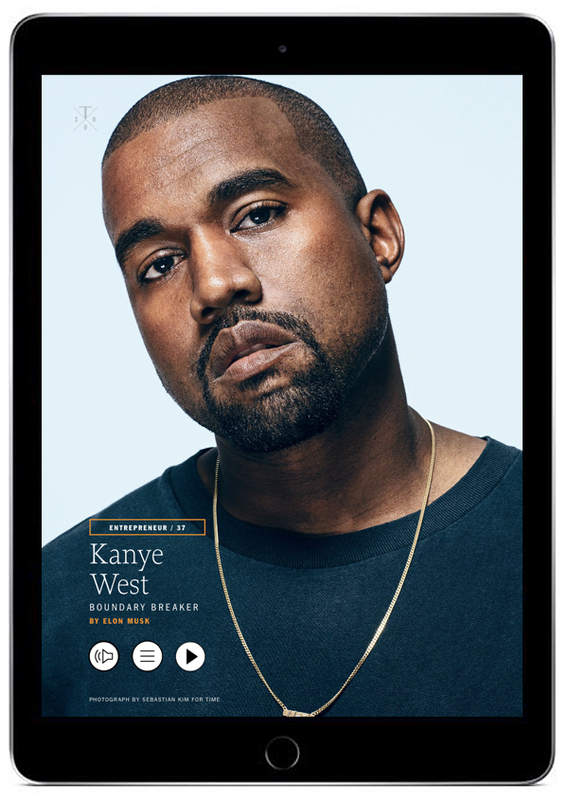 I conceived and led TIME to produce the first fully-interactive weekly magazine designed specifically for the iPhone. I also led TIME’s editorial and design of a daily iPhone magazine for the 2012 Democratic and Republican Conventions. In my role as TIME’s Creative Director, I also helped lead the creative process during a complete redesign of time.com.